Perfect for transitional decor, Craftmaster&apos;s 039700 cocktail ottoman from Carolina Furniture brings your room classic luxury and a chic, modern simplicity. 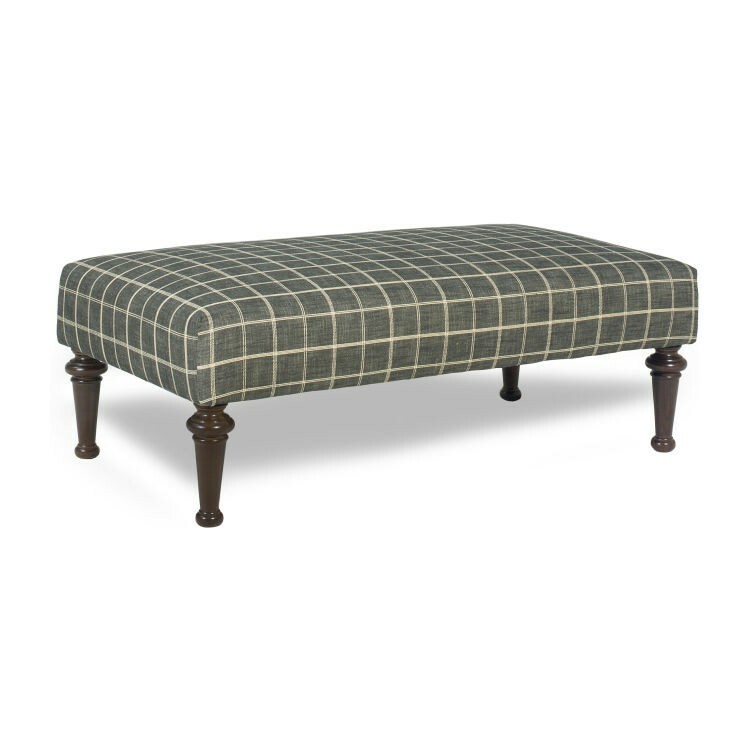 Ottoman features a cleanly tailored, tight seat cushion and tall, turned wood legs. The glamorous piece of furniture functions perfectly as a tray table or spot to display your decorative living room centerpiece, but is also low enough to serve as a footrest for your chair or sofa.